Brighton-based female singer songwriter, whose debut single 'Making Me Fall' released in late 2012 spent three weeks on the Radio 2 A-List. 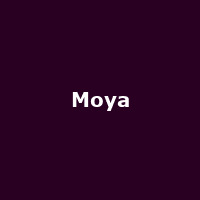 Moya has been described by Hollywood blogger Perez Hilton as 'the female Bruno Mars'. Moya released her debut album "Lost And Found" in 2013.